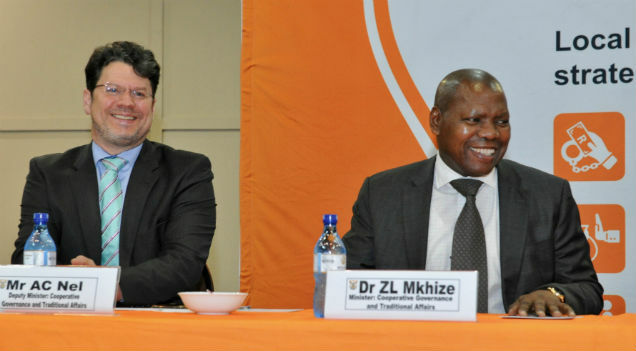 The Minister of Cooperative Governance and Traditional Affairs (CoGTA), Dr Zweli Mkhize will tomorrow, 09 November 2018 convene the 4th CoGTA MinMec meeting of 2018. The meeting comes at the time when Minister Mkhize is embarking on a process to turn around distressed and dysfunctional municipalities. To this effect, MinMec will be seized with the discussions on progress made in supporting these municipalities to ensure that they are able to deliver services as expected. 1. Briefing on Section 139 Interventions and required interventions. 2. Provinces mechanisms and structures for coordination and monitoring of the implementation of the Integrated Service Delivery Approach in the 57 identified municipalities. 3. Revised National Local Economic Development Framework (reflecting on comments / inputs made at the previous MINMEC meetings). 4. Report on the Recommendations of the Advisory Panel of the Inter-Ministerial Task Team on Electricity Reticulation, Distribution and Supply. 5. Report on Municipal Debts to Water Trading Entity and Water Boards. 6. Update on the implementation of the Government Response Plan to Drought including fire incidences experienced in the Western Cape and Eastern Cape Provinces. 7. Report on private sector Infrastructure funding and Strategic Infrastructure Projects (SIP). The MEC’s in provinces are responsible for the implementation of some of the key programmes as reflected in the MINMEC agenda.